See the world—and be prepared to succeed in a global economy. 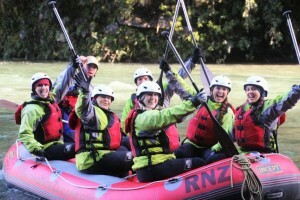 Elizabeth O'Connor visits the city of Hamilton in Waikato, New Zealand. 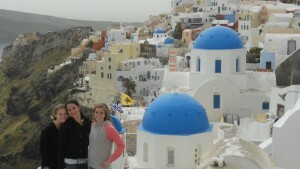 LVC students study abroad in Oia, Greece. 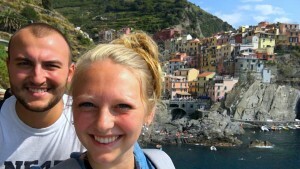 Colin Albright and Theresa Messenger visit Manarola Cinque Terre, Italy during their semester abroad. LVC’s Center for Global Education will advise you in selecting and applying to study abroad and study away programs. 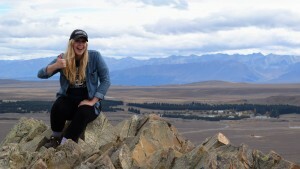 Courses taken through study abroad programs approved by the Center for Global Education will have their credits/instructional hours and grades converted to LVC equivalent credits and grades, with credit ultimately awarded according to the College transfer credit policy. Students will have planned courses pre-approved for transfer before their study abroad program begins. 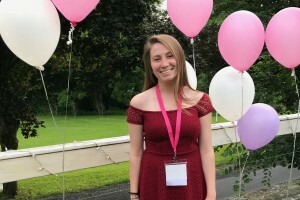 Students enrolled in a program of study approved for credit by LVC will be considered enrolled at LVC for the purpose of applying for federal financial aid. 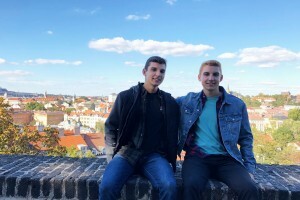 of LVC students will have lived and studied in another country by the time they graduate. of LVC faculty members were born outside the continental U.S.